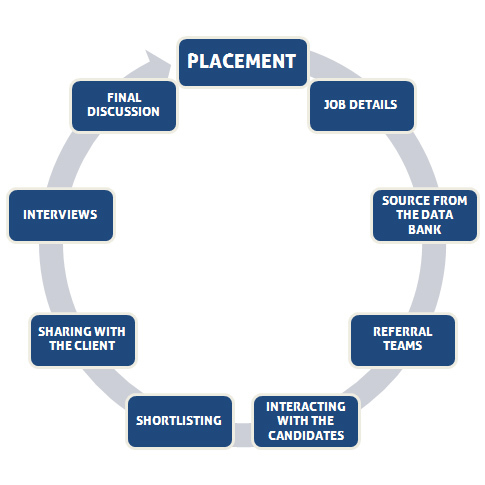 Proper coordination between Clients & candidates. Team Array is dedicated towards our clients and committed to provide the best services in all the categories . We mean what we say and say what we mean. We maintain a relationship of trust, honesty and sincerity with people we deal with. Team Array aims at giving the best quality candidates to our clients in the minimum possible time thus saving the time and efforts of our esteemed clients. Team Array believes in minimizing our clients time , effort and cost incurred in filling of any positions. 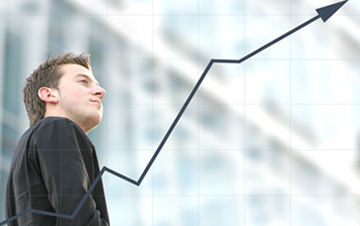 Thus providing complete time saving and cost effective recruitment services in the market. We never give up till we succeed. We strive to excel in everything we do and persevere till we do. We collectively work as team, bringing our individual talent experience and expertise in achieving the common goals. The first step is of collecting the exact Job Description (JD) from the Client that describes exact job specification, salary structure other conditions of employment. After receiving the JD, we short list CV's from our vast data-bank to meet client's specifications & requirements. In case, we do not have enough profiles matching the requirement, we post the requirement on the Web and simultaneously place an advertisement in the Leading Newspaper. This is done upon mutual acceptance from the Client. nce the details of the suitable candidates are collected from our database & other resources, we talk to the candidates about their preference & permission to forward their profile to the client company. After careful consideration we forward a complete set of CV's to the Clients for review and evaluation & request the Client to send us the names of short listed candidates. Once we receive the list of short listed candidates, we organize interview. Our industry experts conduct Trade Test / Personal Interview to obtain a deeper insight about the candidate. After final selection by the Client, a formal letter is issued to the candidates and declaration is taken from them accepting the terms and conditions. The selected candidates are sent for Medical Examination. The candidate is asked to submit their Medical Fitness Report along with Credentials, Passport details, identification details, etc. Our service does not stop once a placement has been made. After the applicant starts with the company, we continue to follow up with the company, the applicant, to ensure that the transition is going smoothly. Meenakshi Gandhi, has close to 7 years of Experience in HR field. She, with an excellent management and negotiation skills , takes care of client relations, development and new business initiatives. She believes – The success of Array is owed to its esteemed clients for their trust and understanding and to the team for their leading edge performance and hard work. Piyush Vijay, has a in-depth knowledge of recruitment and skills needed. With more than a decade of experience into recruitment, he trains, motivates and inspires the entire team for best results. He is responsible for the training, strategic planning, and branding of Array. He believes- Coming together is Beginning. Keeping together is Progress. Working together is Success. Team array comprises of Team leaders and Recruiters for various sectors like IT, BFSI, Engineering, Telecom, and Consumer Durable.